Non-Stop Nyan Cat / Pop Tart Cat - How Long Can You Go? Non-Stop Nyan Cat / Pop Tart Cat – How Long Can You Go? 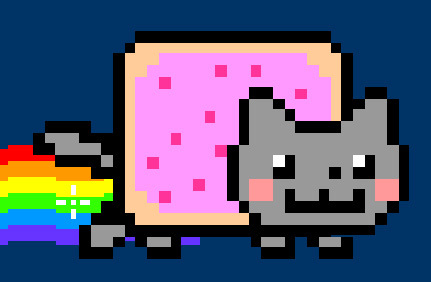 Turn your speakers all the way up and enjoy the unrelenting delights of Nyan Cat, the never-ending Pop Tart Cat of joy. See how long you can go! Here’s the animated GIF, video and song. For more on this curious phenomenon on this check out Know Your Meme.